Thirty renowned directors from China and abroad will be invited to visit parts of the country and make documentaries on its 40 years of reform and opening-up. A Tibetan cultural exchange delegation dispatched by China's State Council Information Office has informed Japanese lawmakers, press and religious groups about the latest development of China's Tibet Autonomous Region. Xu Lin met with Abdulmonam Mansoor Al Hasani, Omani minister of information, in Beijing on Sept. 11. China has made great progress over the past 40 years of reform and opening up, and this progress only happened because China followed "a path of human rights development with Chinese characteristics," a senior Chinese diplomat said in Geneva on Monday. 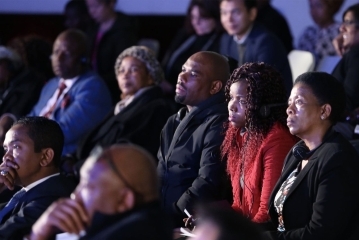 The State Council Information Office of China held a symposium on Monday in Beijing to discuss the media's role in building a shared future for China and Africa. A foreign expert symposium on the China Book International (CBI) project was held Monday in Beijing to pool wisdom on how to share China's experience of reform and opening up with the world. Guo Weimin, vice minister of the State Council Information Office of China, met with a delegation led by Patrick Allen, vice president and international managing editor of CNBC, in Beijing on Aug. 15. A three-month exhibition to mark the 200th anniversary of Karl Marx's birth, which closed Sunday, has received more than 2 million visitors, according to the organizers. The Publicity Department of the Communist Party of China Central Committee on Thursday honored the navy destroyer Haikou unit as "role models of the times." Guo Weimin, vice minister of the State Council Information Office of China, met with a delegation led by Masao Omuro, president of Japan's Jiji Press, in Beijing on July 31. Guo Weimin met with a delegation led by Michael Brunt, chief operating officer and publisher of The Economist, in Beijing on July 27. Senior editors and reporters from 18 nations who attended a seminar in the Xinjiang Uygur autonomous region and Beijing on the Silk Road Economic Belt said they look forward to seeing how the Belt and Road Initiative will help people in their countries. A workshop for the heads of the international departments of various major African media outlets was held in China from June 22 to July 11. A seminar for senior editors from 18 countries along the the Silk Road Economic Belt opened in Urumqi, capital of northwest China's Xinjiang Uygur Autonomous Region. 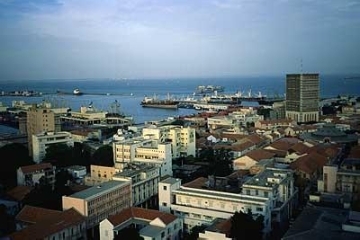 The State Council Information Office of China and the Senegal National School of Administration signed a memorandum of understanding on July 19 to jointly build the "China Pavilion" in Dakar, Senegal. 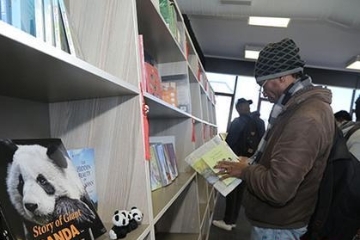 A China-themed book show is taking place in Johannesburg in a bid to promote better understanding of the Chinese culture and development among South African people. A seminar on China's human rights progress in the course of reform and opening up was held in central China's Wuhan on Wednesday. Guo Weimin, vice minister of the State Council Information Office of China, met with a delegation led by Ng Yat Chung, CEO of Singapore Press Holdings, in Beijing on July 17. 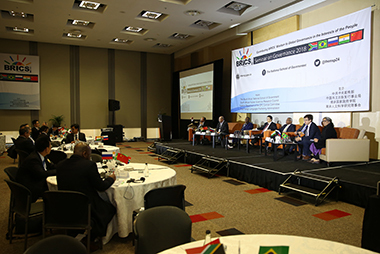 Leaders of media organizations from BRICS countries met in Cape Town, South Africa on Wednesday to discuss cooperation at the BRICS Media Forum. Leaders of the BRICS countries are expected to coordinate as they cope with the challenges of de-globalization, unilateralism and protectionism while shaping their consensus in further boosting economic growth, speakers said on Tuesday at an event organized by China Daily. 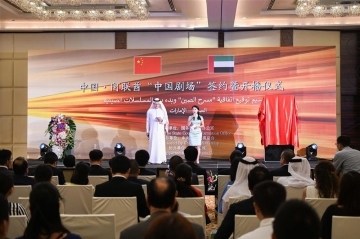 China Media Group and China Arab TV (CATV) of the United Arab Emirates (UAE) on Saturday signed an agreement on broadcasting popular Chinese TV series in the UAE. Editors and reporters from 12 countries involved in the Belt and Road Initiative receive certificates for a media training program that concluded in Beijing on Wednesday. A delegation from China's largest non-governmental national human rights organization visited Greece on July 5 and 6 to exchange thoughts on human rights progress. 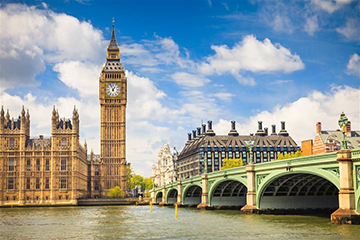 A delegation of China's largest national nongovernmental organization in the field of human rights wrapped up its visit to Britain on Tuesday after meeting with politicians, researchers and senior lawyers. A series of cultural exchange activities aimed at strengthening culture exchanges and media cooperation between China and Rwanda as well as promoting the bilateral relationship concluded Saturday in Rwandan capital city Kigali. 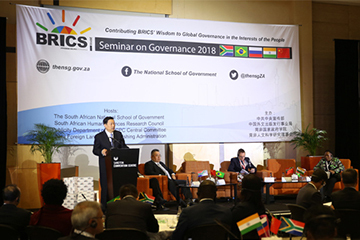 More than 120 experts from Brazil, Russia, India, China and South Africa (BRICS) and other southern African countries gathered Wednesday at a seminar in Johannesburg. 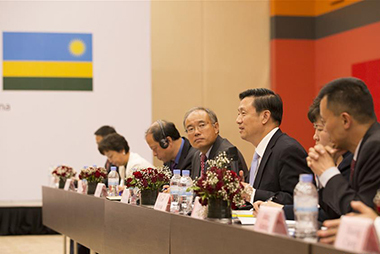 Representatives from over 10 Chinese and Rwandan media outlets held a forum on Thursday on promoting cooperation and exchanges. 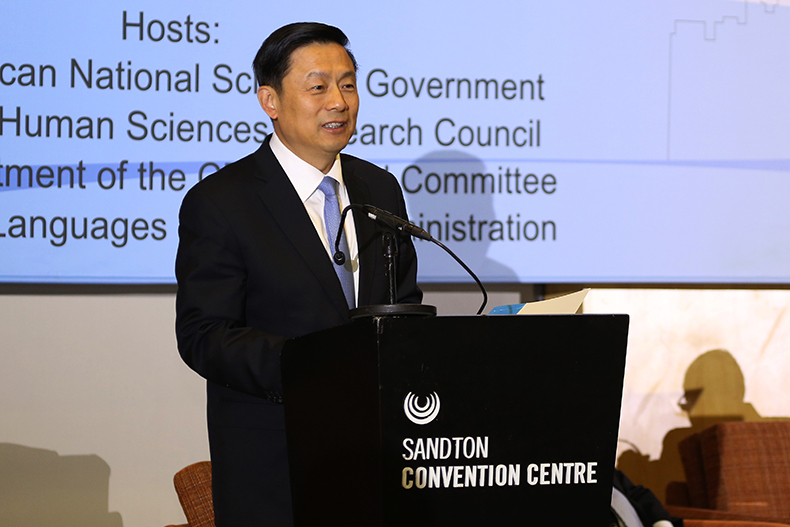 Guo Weimin, vice minister of the State Council Information Office of China, attended the second BRICS Seminar on Governance held in Johannesburg, South Africa on July 4. BRICS members could use good governance to alleviate social ills, including grinding poverty and inequality between the rich and the poor, according to experts speaking to Xinhua. 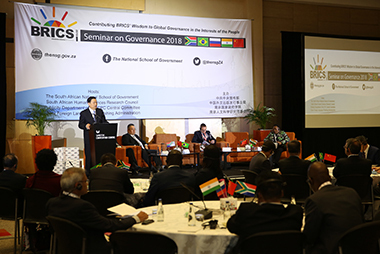 The BRICS Seminar on Governance is being held in Johannesburg, South Africa, aimed at promoting the institutionalization of BRICS experiences in governance, and expand exchange and cooperation. It's part of the second Golden Decade of BRICS cooperation.